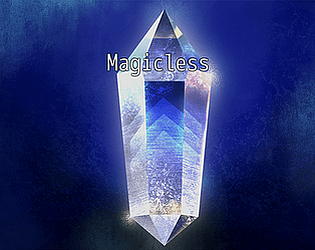 An RPG without HP or damage points. The magic absorption/anti-absorption thing wasn't communicated very well, but aside from that it was fun! It almost feels more like a puzzle game than an RPG. I actually changed the description of the spell multiple times to make it as little confusing as possible. Guess it didn't work. Glad you liked it! 2. I got the impression magic absorption was a specific attack, not a status effect. I thought my anti-absorption spell would negate the attack. I figured it out eventually, but it took a few tries. And it's entirely possible that the game communicated it fine and I'm just an idiot. Do you think the option to read a combat log would have helped you figure out these things? Or perhaps I should give the attack and the status different names. A combat log would've helped, yeah. If that's too much work you could also just slow the battle speed (or give the option to slow battle speed). I already have the code for a combat log. I will work on giving the option to slow down the battle. Thanks for your help! Interesting idea for an RPG.